Bollywood Directory / Film India Directory / online Bollywood Directory : A comprehensive, updated list of Bollywood / Entertainment Indian Film Industry, our primary services include collecting profiles from Bollywood / Entertainment - they can be Actors, Actresses, Models, Singers, Dress designers, Costume Designers, Instrumentalists, Musicians, Music Directors, Fashion Designers, Makeup Artists, Editors, Comedians, Studios,Photographers, Videographers, Film making, Acting, Dancing, Singing, Graphics and Animation, Cinematography, Film Production, productions houses, producers, directors !!! 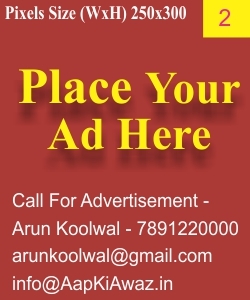 If you also want to add / submit / update your listing, kindly fill up the given form or send us an e-mail regarding the Bollywood Directory Registration at info@aapkiawaz.in and our team will publish it for you. 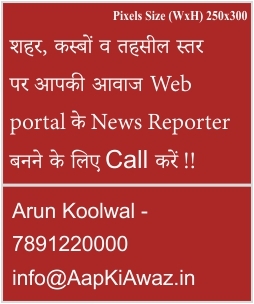 www.AapKiAwaz.in does not support or endorse the accuracy or reliability of any information, content, copyright compliance, legality or advertisements contained, distributed through, or linked, decency of material contained in sites listed in our online bollywood directory or hard copy. Every effort has been made to compile complete and accurate information for this directory. The information contained herein should not be construed as an endorsement of any member, company, or individual, nor reflect in any way upon the products and/or services provided by an organization or individual. We are committed to provide a database that is accurate, up-to-date and comprehensive. Users of this Directory are advised that this information is provided as a general reference only. Copying of this information in whole or part for the purposes of sale, inclusion in or with any product, or copying as content for another website is strictly prohibited. 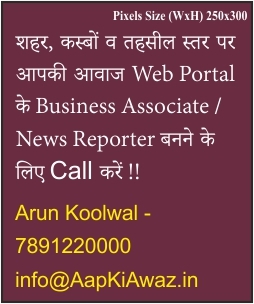 www.AapKiAwaz.in - reserves the right, without any obligation whatsoever, to make improvements to, remove any listing or correct any error or omissions in any part of the www.AapKiAwaz.in. If you find an error, please notify us. To add or remove or amend the listing in www.AapKiAwaz.in kindly send us an email at info@aapkiawaz.in or kindly fill up the form given to add / submit / update your listing.